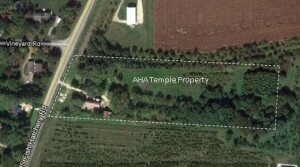 In 2009 AHA purchased a seven acre property at 2138 South Fish Hatchery Road, Fitchburg with a long term vision of building a Hindu Temple and other associated amenities for the benefit of the community. The Temple Management Board has approved the construction of an approximately 7000 square feet Cultural Center building immediately. 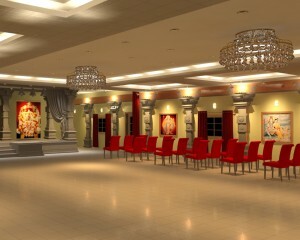 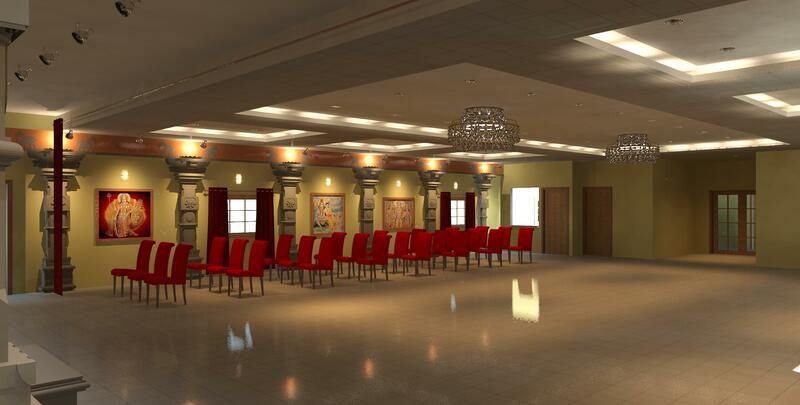 This facility will house all temple activities including pujas, community events, festivals, Bala Vihar classes, etc. This cultural center building will be appropriately sited such that it does not affect any future property development including the main temple. 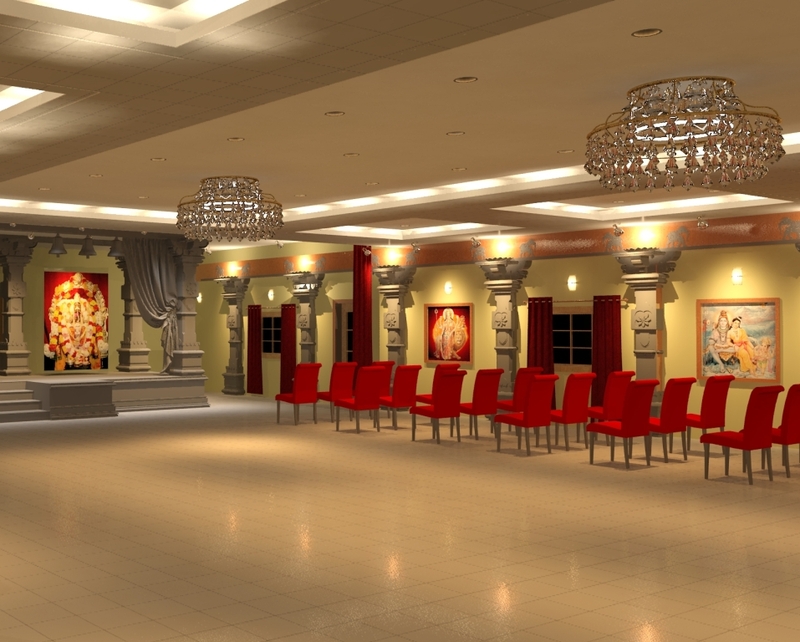 The facility will involve a 4000 square feet main level and a 3000 square feet lower level with all amenities including restrooms, food serving areas, homam facilities, etc. 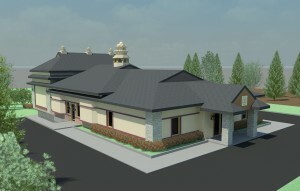 After a substantive community input on the functional requirements and design features of the building, the following design has been developed by the Building and Facilities Committee in conjunction with a professional Design and Architectural firm. 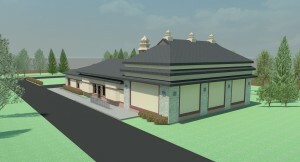 The design and construction approvals for this facility is in the final stages. The following pictures show preliminary renderings and the design of the proposed facility.